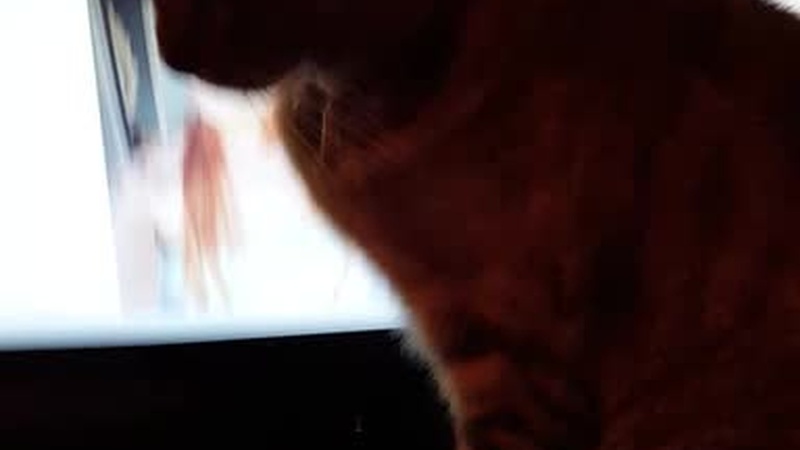 This is the reality of living with Leviathan... if she's not sleeping on the computer chair... she likes to sit infront of the screen. That is adorable.. I think my dog would do the same if she could get on my desk lol. Awesome keyboard btw!